A common cause of clogged ears with inability to pop them easily is due to eustachian tube dysfunction. There are a number of ways to address this annoying problem, but one of the first steps to try is intranasal medications whether in nasal spray form or nasal drop form. The whole idea behind intranasal treatment is the fact that the ears are connected to the back of the nose via a tunnel called the eustachian tube. Watch video explanation. 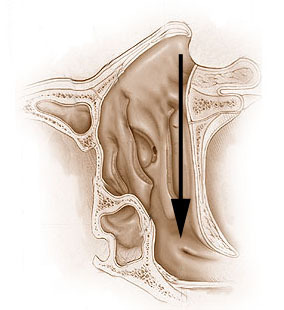 Normally, when the ears are popped (also known as valsalva), the individual is opening up the eustachian tube to allow pressure and/or fluid in the ears to drain/escape out into the back of the nose. That's why when you blow your nose, you often hear a popping noise in the ears. Read more about how/why this happens here. Patients suffering from eustachian tube dysfunction are unable to get the tunnel to open up. In this scenario, the pressure or fluid remains trapped in the ear. It's a plumbing problem in its essence. Given the problem is the eustachian tube, intranasal medications are used to try and open up the tunnel and make it easier for the individual to pop the ears open. Such medications include some combination of afrin, flonase, nasacort, rhinocort, etc. Trick is... how to get the intranasal medications to where the eustachian tube is located in the very back of the nose. There are a few ways to accomplish this... some which work better than others. If you aim the bottle towards the eye or top of the head, the medication is hitting areas of the nose where the sinus cavities are... not where the eustachian tube is located. You have to look down and point the nasal spray bottle up towards the ceiling because all nasal spray medications use a straw that requires vertical orientation (same reason why when you drink Pepsi from a cup, the cup is upright). Anatomically, the nasal spray "shoots" the medication straight up to where the eustachian tube is located. Use an eye dropper and place 2-4 drops of the medication into the nose and have it "drain" to where the eustachian tube is located. Practically, this means filling a prescription of the nasal spray medication, opening up the bottle, and pouring the contents into an eye dropper. 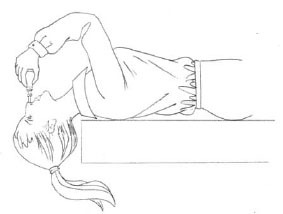 This method requires positioning the head such that gravity will ensure proper movement of the medication to where the eustachian tube is located. There are two ways to achieve this. This first way is the "Head-Tipped-Back Position". Note that the head also needs to be turned slightly towards the affected ear (5-10 degrees). Mygind's Position is the alternative position which accomplishes the same thing, but the person is laying down looking up. For some people, this position is more comfortable than bending the head back. Note that the head also needs to be turned slightly towards the affected ear (5-10 degrees). Studies have shown that Method 2 (nasal drops) works better than Method 1 (nasal spray). However based on my personal experience in my patient population, Method 2 is not as well tolerated as Method 1. People often feel like drowning or suffocating when performing this maneuver (mini water-boarding so to speak). Also, it seems to be more irritating to the mucosal lining of the nose and throat. And as we all know, if it is not comfortable or user-friendly, patients will not do it. As such, I usually recommend Method 1 (nasal spray) which works "good enough". For patients who are ambitious and are willing, go with Method 2 (nasal drop). Techniques of Intranasal Steroid Use. Otolaryngol Head Neck Surg 130(1):5-24. Images taken from Techniques of Intranasal Steroid Use and Wikipedia. how long do you tilt the head back when putting in the drops of afrin? Great article. Thanks so much for your help. I wish this information was more widely known. Currently suffering for a week now. This all makes sense after I tend to black out the dr Info is administered. A little confusing to figure out since I am just nervous about my condition and I would be doing it on myself. Great info! Had this problem for 2weeks and now prescribed a nasal spray... though my ear becomes worse for some reason when i use it.. doc advised i use it for a couple of weeks and hopefully my deafness should clear.No perfuration or wax so she reasurred me this should clear in time. 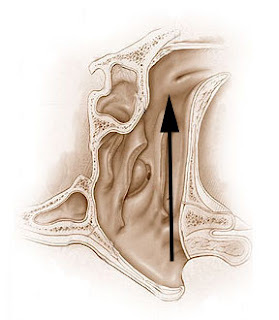 I can hear my ear "gurgling" once I use the valsalva method after introducing drops to Eustachian Tubes, but should they hurt while performing the procedure? Dr. Chang: I continue to benefit greatly from your knowledge and expertise. 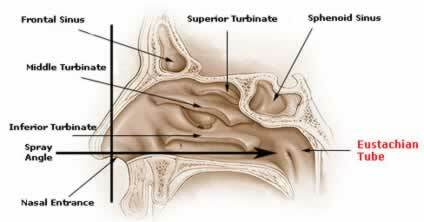 I now have a serious bout of clogged left ear (Eustachian tube dysfunction). If only for the benefit of being able to drop by your office, it was quite a pity I had to leave the NVA area, but glad your posts are still available. Continue the awesome work. Dr. Chang, I was very grateful to find this page! I'm a semi-pro singer, and find that during spring, I tend to get ear popping which makes it difficult to hear myself while singing--believe that the irritation of singing and of pollen etc. inflames eustachian tube entrances and have wondered before if a steroidal mist might help, just never seemed to work. 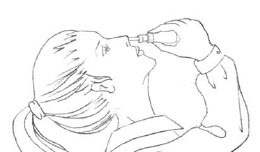 The only problem/question I have with your advice and diagram is that you show the guy pointing the bottle at a right angle right at the bottom of his nasal passage, like there's a hole in his head right at that position. But my nose is longer--feel like I gotta push my nose up quite a bit to get to the point where I could angle the bottle 90 degrees to my face, i.e., where that horizontal nasal passage begins. Wouldn't this be true for most people? You don't mention pushing the tip up the nose far enough to reach that horizontal passage, before tipping at 90 deg and firing away--that's your intent though, correct? is this true? Should I lift the tip of my nose to administer the spray? did it work for you? I have been suffering with ETD for over 3 months. I VERY MUCH appreciate your sharing the information on correctusage of the Nasal Spray. I woudl have gone to an ENT myself, however I am low income, uninsured and so... you see what I mean. Anyway, this makes the info you've shared that much more precious! May you and yoru practice be blessed for making this info available to suffering people. I hope to hear properly again very soon. Thank you very much for this advice- I've been using multiple allergy medications for 2 years with little improvement for ETD. I tried method 1 once with my azelastine nasal spray and I'm already noticing a difference in my hearing!